Some 70 per cent of Palestinians in the Israeli-occupied West Bank and Gaza Strip want President Mahmoud Abbas to resign immediately, according to a new poll by the Palestinian Centre for Policy and Survey Research conducted 7-10 December. The poll, conducted in the occupied Palestinian territory (oPt) in the immediate aftermath of US President Donald Trump’s decision to recognise Jerusalem as the capital of Israel, makes grim reading for Abbas, with those demanding his resignation up three points from September. Abbas’ net satisfaction rating, meanwhile, has dropped one point to minus 35, with just 31 per cent satisfied with his performance, compared to 66 per cent who are dissatisfied. When asked about who should succeed Abbas, 35 per cent expressed a preference for Marwan Barghouthi, 22 per cent would vote for Ismail Haniyeh, while Mohammad Dahlan attracted the support of just seven per cent of Palestinians (15 per cent in Gaza and one per cent in the West Bank). With regards to the national unity file, 38 per cent of Palestinians in the oPt are satisfied and 55 per cent are dissatisfied with the performance of the reconciliation government. Fifty per cent are optimistic and 45 per cent are pessimistic about the success of reconciliation; three months ago, optimism stood at 31 per cent and pessimism at 61 per cent. Some 81 per cent of Palestinians in the oPt want the reconciliation government to pay the salaries of the civil employees of the former Hamas government, while only 14 per cent do not it to do so. The same number (81 per cent) want the reconciliation government to pay the salaries of the security sector employees of the former Hamas government. With regards to Abbas’ call for “one government, one gun”, only 22 per cent of those polled support the disbanding of Palestinian factions’ armed wings in the Gaza Strip, and 72 per cent want those armed groups to remain in place. Regarding Trump’s policy shift on Jerusalem, a plurality of Palestinians (45 per cent) believe that “the most appropriate” Palestinian response is to stop all contacts with the US administration, submit a formal complaint to the International Criminal Court (ICC) and resort to an armed intifada. Twenty-seven per cent want an end to contacts, the submission of a complaint to the ICC, and “non-violent resistance”. Twelve per cent want the Palestinian Authority to simply denounce the US step and stop contacts with the Trump administration, while another 12 per cent want just verbal condemnation. A plurality of Palestinians (44 per cent) believe armed resistance is the most effective means of establishing a Palestinian state, 27 per cent think negotiation is the most effective means, and 23 per cent think non-violent resistance is the most effective. Three months ago, 35 per cent indicated that armed resistance is the answer and 33 per cent sided with negotiation. While most Palestinians believe the Trump administration will not submit a plan for Israeli-Palestinian peace, 86 per cent believe that any such plan “will not meet Palestinian need to end occupation and build a state”. Nonetheless, 49 per cent think Abbas might accept the American peace plan if one is indeed submitted to him, while 42 per cent believe he will not accept it. Regarding “public trust in the roles and positions of major Arab countries in the peace process and the US efforts to develop a regional agreement in the context of Palestinian-Israeli peace”, 82 per cent of Palestinians in the oPt say they do not trust the Saudi role, 75 per cent do not trust the Emirati role, and 70 per cent do not trust the Egyptian role. Israeli occupation forces opened fire on Palestinian siblings “without cause”, an investigation conducted by human rights NGO B’Tselem has concluded. On 31 October, Muhammad Musa, 26, and his sister Latifah, 34, a married mother of five, were driving from their village, Deir Ballut, to Ramallah. When the car arrived at a roundabout near Halamish settlement around 8.45am, two Israeli soldiers emerged from a nearby military post. They ordered the car to stop and one soldier opened fire, continuing to shoot even after the car had passed him. Muhammad was struck in the upper body, and Latifah was injured in her shoulder. In the immediate aftermath of the shooting, none of the soldiers, police officers or Israeli paramedics gave Muhammad first aid. When Palestine Red Crescent medics arrived, soldiers halted their work. Muhammad died of his wounds shortly after arriving at hospital. Latifah was released from hospital on 5 November. 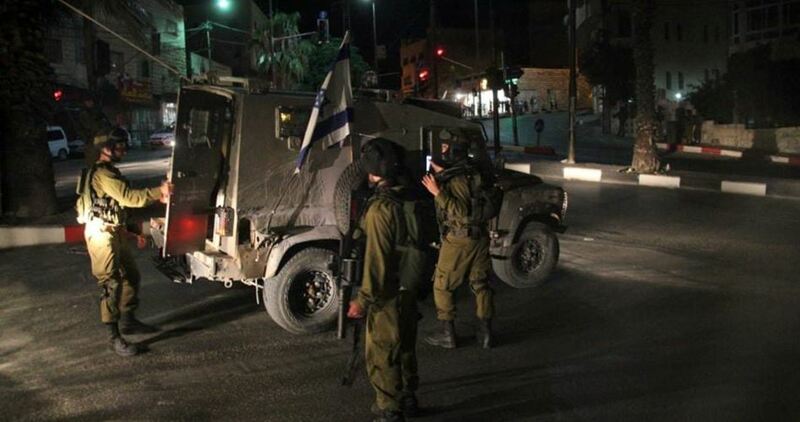 According to media reports, B’Tselem notes, the Military Police Investigation Unit has launched an investigation into the incident, and the commander of the force in charge of the military post has been suspended. However, the NGO adds, “based on past experience, this is unlikely to result in the prosecution of the persons responsible for the illegal killing, certainly not senior ranking officials”, with such investigations nearly always ending in “whitewash”. A Saudi proposal for a peace initiative between Israelis and Palestinians offers the village of Abu Dis as the future capital of Palestine instead of East Jerusalem, stirring widespread anger. Activists have released a new hashtag under the name “Jerusalem is our capital” in response to the Saudi proposal. The New York Times reported on Sunday that Saudi Crown Prince Mohammed Bin Salman made the proposal during Palestinian President Mahmoud Abbas’ visit to Riyadh last month. According to the proposal, the Palestinians will get a non-contiguous state in the West Bank and Gaza Strip over which they will have only partial sovereignty while the majority of Israeli settlements in the West Bank will remain. The proposal does not grant Palestinian refugees and their descendants living in other countries the right of return to Israel. According to the paper, Saudi Arabia gave Abbas two months to respond to the offer. Abu Dis is a Palestinian town near occupied East Jerusalem. According to the Oslo Accords it is classified as Area B which is administered by both Israel and the Palestinian Authority. US President Donald Trump is expected to recognise Jerusalem as Israel’s capital and set in motion the relocation of the US Embassy to the international city today, a decision that upends decades of US policy and risks fuelling violence in the Middle East. GAZA CITY (Ma’an) — Two Palestinians were killed in an Israeli airstrike targeting a motorcycle in the northern Gaza Strip on Tuesday afternoon. Local and medical sources confirmed that two Palestinians were killed in the airstrike in the Umm al-Nasr village in the Beit Lahiya district of northern Gaza. Sources from the Islamic Jihad movement identified the two as Hussein Ghazi Nasrallah and Mustafa al-Sultan, members of the engineering unit of the al-Quds Brigades, the military wing of the movement. Sources added that their bodies were taken to the Indonesian Hospital in Jabaliya. An Israeli army spokesperson confirmed to Ma’an that “an operation” had been carried out in the northern Gaza Strip. Nasrallah and al-Sultan were the sixth Palestinians to have been killed by Israeli forces in Gaza over the past week. The 16-year-old Palestinian teenager who was taken into custody by Israeli soldiers last week, in a photo that went viral on social media, was presented to an Israeli military court on Monday. 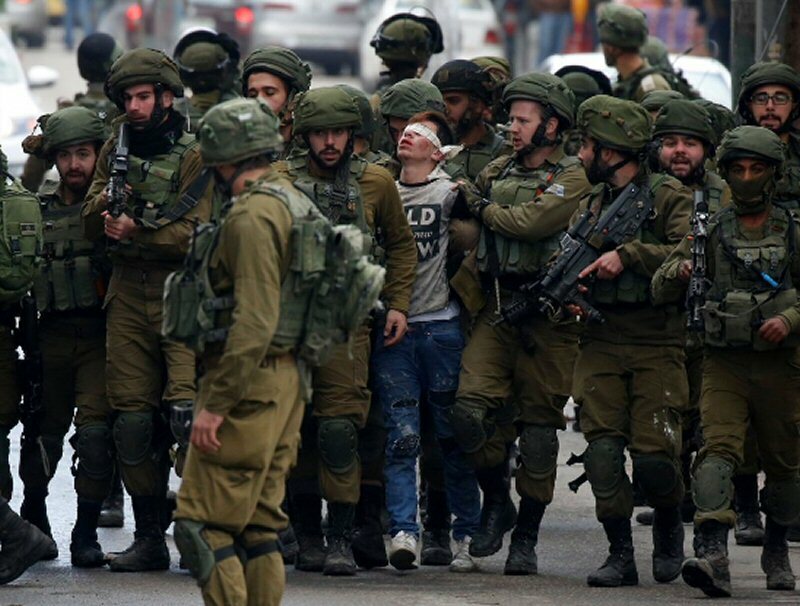 Fawzi Muhammad al-Juneidi, 16, from the southern occupied West Bank city of Hebron was detained by 23 Israeli soldiers on Friday, during protests against US President Donald Trump’s announcement that he was recognizing Jerusalem as the capital of Israel. According to Ma;an, al-Juneidi was one of thousands of Palestinians protesting against the decision in the West Bank, Gaza, and East Jerusalem. Hundreds of Palestinians were injured by Israeli forces during protests, and at least four Palestinians were killed over the course of the weekend. 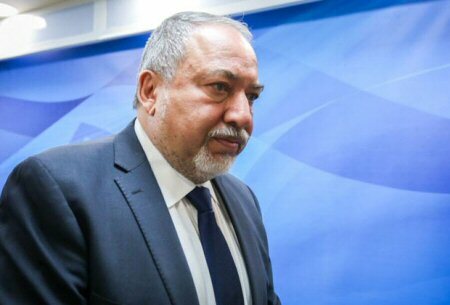 Israeli Defense Minister Avigdor Lieberman has called for boycotting Arab citizens in Israel, for organizing protests against US President Donald Trump’s recognition of Jerusalem as Israel’s capital. Previously, Lieberman has called for taking Um Al-Fahm out of Israel and annexing it to the Palestinian Authority-dominated area in return for annexing major settlements in the West Bank to Israel. Several Arab cities and neighbourhoods in Israel witnessed demonstrations against Trump’s decision. On Saturday demonstrators blocked Wadi Ara Highway, which connects the north of Israel with the south, Days of Palestine further reports. The Palestinian Detainees’ Committee has warned of the significantly increasing number of Palestinians, who were abducted by the Israeli army in one week, since Trump’s illegal recognition of occupied Jerusalem as the unified capital of Israel, adding that the soldiers have abducted more than 230 Palestinians, including dozens of children, who are facing torture, bad conditions and humiliation. The committee stated that the number of abducted Palestinians is dangerously increasing, especially due to massive invasions of homes and property in several parts of occupied Palestine, including Jerusalem. It added that all of the abducted Palestinians have been subject to one or more forms of physical and psychological torture, humiliation and degradation, during their arrest and interrogation. The committee said that its lawyers managed to visit many of the abducted Palestinians, who told them that they were left with food or water, and even blankets for 24 hours, and were frequently assaulted and tortured. The detainees who are held in Etzion military base and security center, south of Bethlehem, said that the soldiers and interrogators dubbed them as “Trump detainees,” referring to all Palestinians who were taken prisoner since the U.S. President made his illegal announcement, in direct violation of International Law and all related United Nations resolutions. The detainees said that many of them are sleeping on the ground without mattresses or covers, and scores were later moved to Ofer prison, near Ramallah, where they were subject to strip searches, and additional violations. The Committee stated that Israel continues to violate International law and all related resolutions and agreements, by its ongoing targeting of civilians, and by violating the basic rights of the political prisoners. The Israeli occupation forces (IOF) on Tuesday broke into Palestine Technical University in al-Arroub camp to the north of al-Khalil city and arrested a sick student from an ambulance that was transferring him to the hospital. Eyewitnesses reported that the student Ibrahim al-Halabi, who is a resident of Doura town, suffered tear gas inhalation after the IOF soldiers attacked the university students with tear gas canisters. They added that the IOF chased the ambulance, stopped it and kidnapped Halabi who also suffers from liver problems. The IOF soldiers stormed the university building after a settler was injured of stone throwing while passing near the clashes that erupted between Palestinian youths and the IOF soldiers at al-Arroub entrance. Fresh Israeli airstrikes at dawn Wednesday targeted areas in Khan Younis, south of the Gaza Strip. 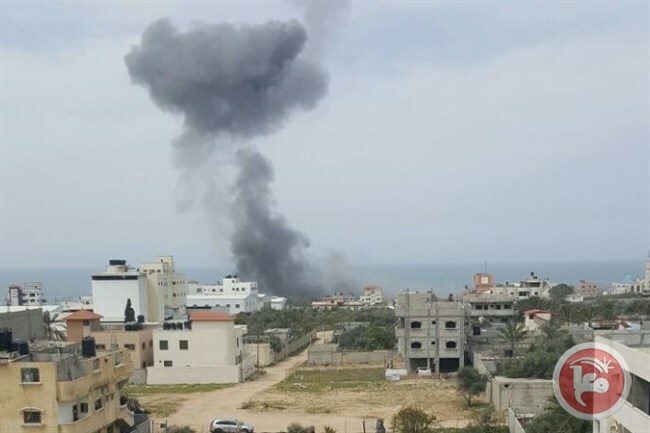 The Palestinian Information Center (PIC) reporter in Gaza said that at least one Israeli warplane bombed a resistance site belonging to al-Qassam Brigades of Hamas in the southwest of Khan Younis city before striking a nearby open area with another missile. The airstrikes caused huge explosions that rocked the entire city of Khan Younis, while local sources affirmed that one citizen was slightly injured in the aerial attack. 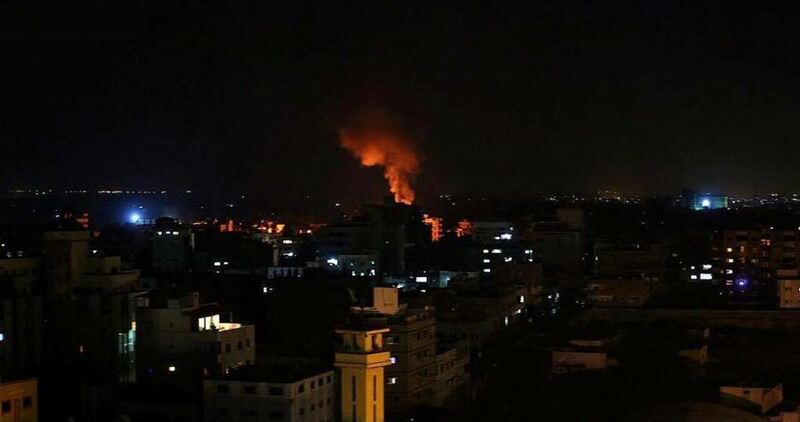 The Israeli army claimed the dawn air raids were in response to a Palestinian rocket attack on Tuesday evening on Ashkelon city near Gaza. 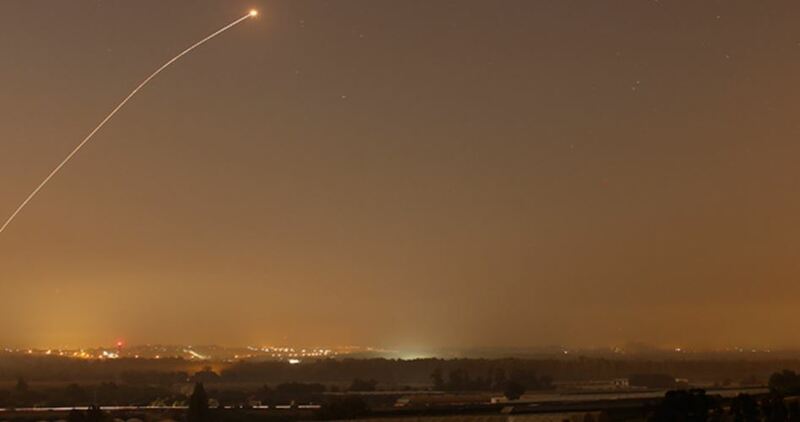 The Israeli occupation forces on Tuesday evening said a rocket was fired from Gaza toward Ashkelon Regional Council, south of 1948 Occupied Palestine (Israel). According to Hebrew-speaking news outlets, a rocket discharged from the Gaza Strip landed into an unpopulated area in Ashkelon. No injuries were reported in the alleged rocket attack. Over recent days, the occupation army claimed that rounds of missiles have struck Israeli settler communities near Gaza’s border area. The Israeli military continues to target resistance sites in Gaza with artillery shells and missiles for the fifth day running, claiming that the bombings come in response to rockets unleashed from the enclave. The escalations have come out shortly after the U.S. President Donald Trump recognized, in a Wednesday speech from the White House, Jerusalem as the capital of Israel, sparking angry protests across the occupied Palestinian territories, the MENA region, Europe, and the Americas.